When will be MECH-X4 next episode air date? Is MECH-X4 renewed or cancelled? Where to countdown MECH-X4 air dates? Is MECH-X4 worth watching? Live-action sci-fi adventure comedy series following Ryan Walker, a freshman at Bay City High who has technopathy - the extraordinary ability to control technology with his mind. 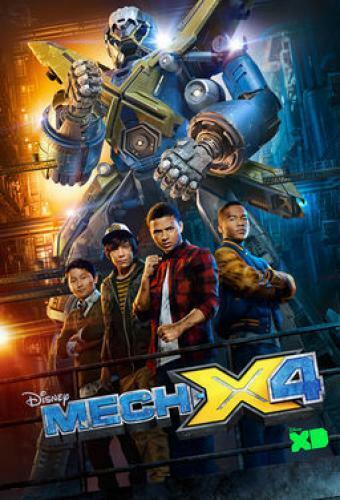 His talent mysteriously awakens MECH-X4, a giant 120-foot robot built by an elusive genius-in-hiding to defend their town against impending doom. 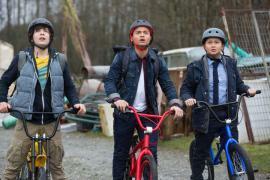 Ryan recruits his two best friends and his older brother to help him operate MECH-X4. When monsters suddenly begin to descend upon their city, the four must quickly learn to work as a team in order to pilot the robot that is their only hope of saving their town, and ultimately the world, from mass destruction. Ryan, Spyder and Veracity attempt to sneak into a hospital to get the materials they need for a secret mission. Ryan and the team take on Traeger and a traitor. With the world falling one city at a time, Ryan and the team retreat to the Thirty's secret farm. A super-charged Mech-X4 races around the world to defeat Traeger's beasts; Ryan must make one of his toughest decisions yet: save his friend or save the world. MECH-X4 next episode air date provides TVMaze for you. 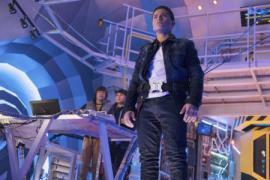 EpisoDate.com is your TV show guide to Countdown MECH-X4 Episode Air Dates and to stay in touch with MECH-X4 next episode Air Date and your others favorite TV Shows. Add the shows you like to a "Watchlist" and let the site take it from there.